Join Ironmonger Brewing, Damon Sumner, & Laura Austin for a night of laughter & craft beer! Taps start flowing at 5p, food truck starts serving at 6p, the doors to The Barrel Room open at 7p, and the show starts at 8p! 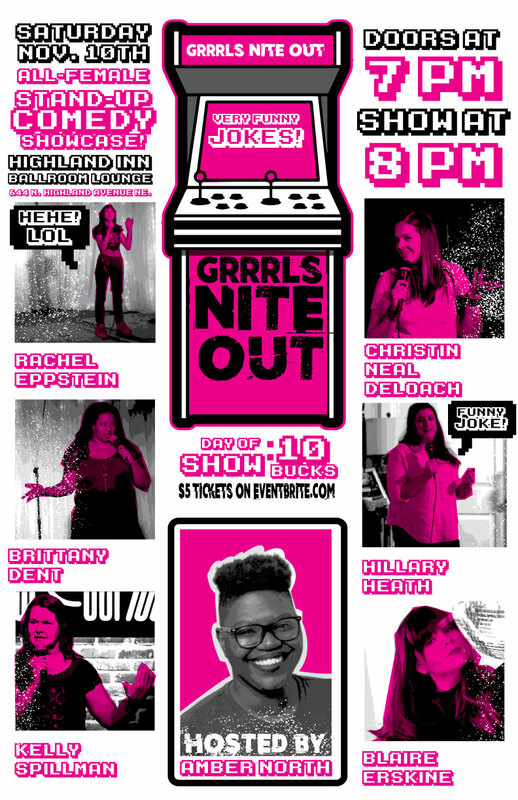 Ladie's Night returns with another killer submission block and stand-up lineup! A Night of Music, Comedy, and Burlesque Celebrating Women in Hip-Hop and R&B! Red Pill presents an amazing comedy show with some of the cities most talented comedians from across the country. Improv, stand-up, shenanigans. aps start flowing at 5p and the show starts in The Barrel Room at 8p! This is a 21 and up show, duh! Admission is $12 and includes access the show, a tour of the brewery, and two full pour beers (additional beers available for purchase).